There’s a lion on the loose! My new book In The Lion is in all good bookstores now. But wait- THERE’S MORE! For a limited time, some bookstores are giving away a free In The Lion library bag with every purchase! 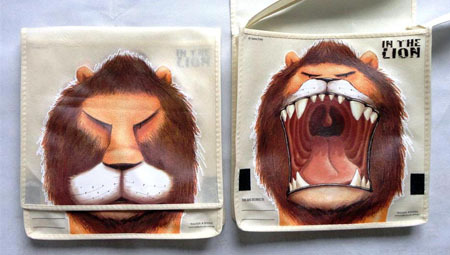 The flap opens up to make Liev the Lion roar.